This is the final article in my series of lands at Disneyland. I saved Fantasyland for last because Fantasyland was Walt’s favorite. I hope when all is said and done, you were able to take something from these musings for yourself, something that adds to your experiences when you visit Disneyland, or any of the parks. When Walt was designing the park, he insisted on a castle to be the icon. Did you know, the top part of the castle is on backwards? Disney Legend Herb Ryman talks about the event in the documentary, Disneyland Secret, Stories and Magic (Youtube). When they were initially designing the castle, they asked Herb what he thought, and Herb didn’t like it. The model was a two piece model. Herb picked up the top piece, and reversed it, set it back down and said, “there, that looks better”. The room responded, “Herbie, put it back, Walt will be here any moment”. Before he could, Walt walked in. The group of Imagineers held their breath in silence because they didn’t think Walt would like it, but he did! As you are walking towards Fantasyland from the hub, the top part of the castle, originally was designed as the back side of the building. 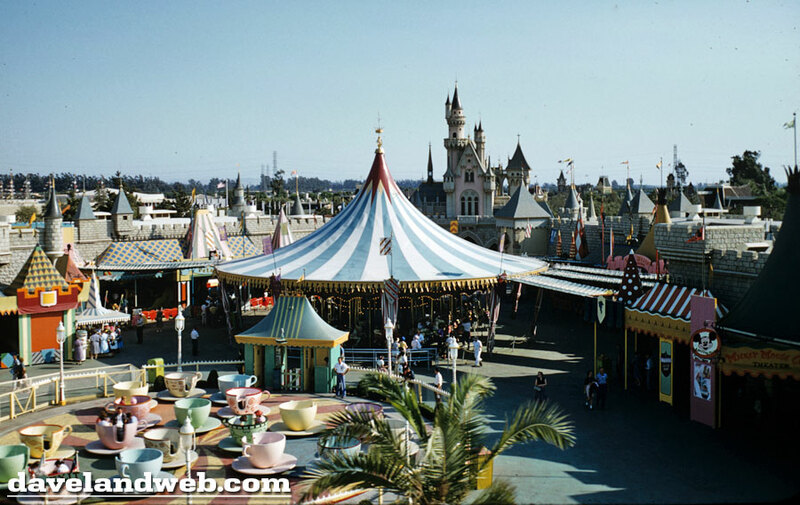 You can divide the history of Fantasyland into what I would call, two seasons, 1955-1983, and 1983 to today. Walt wasn’t happy with the facades of the land originally. It was like a renaissance fair design with flags and tents. In 1983, a complete renovation was undertaken. Tony Baxter talked of his apprehension of the renovation because he knew it was Walt’s favorite land exclaiming “What have we done…..”. When changes are made to the parks, there is a lot of apprehension because they are so loved by the guests. For those of you back east, remember the gut reaction to the removal of Maelstrom in favor of the new attraction, Frozen. People who love the parks are very protective of the history and more importantly, their memories. Today, it is as if no changes have ever been made to Fantasyland. Tony Baxter commented “that is how you know you got it right”. Fantasyland is filled with dark rides. The term is used because of the use of the black lights and paint reflection technique. The unique characteristic of this entertainment venue was the ability for the guests to experience the story inside the story itself. Snow Whites initial design was for the rider to be Snow White, going through the story. Unfortunately, the riders did not understand this nuance and constantly asked why there was no Snow White in the ride. Additionally, people kept leaving the vehicles to steal the poisoned apple in the scene where the queen is giving the apple . This was resolved later by projecting an image of the apple. I have to wonder, if anyone out there still has one of those apples. 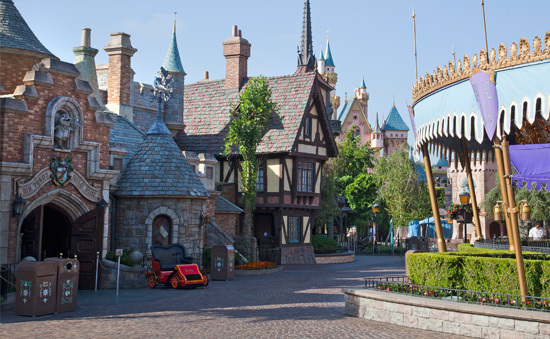 Fantasyland is a romp through the cinematic history of Walt Disney. Next time you plan to visit, take a moment to watch each animated feature with your family before riding the rides. It adds a context to the magic you will appreciate. Snow White, Alice in Wonderland, Peter Pan, Pinocchio, Dumbo, its like a whose who of our most beloved animated movies we all had growing up. The origination of the idea of Disneyland birthed from daddy’s day with the girls. Walt would take a day and take his daughters to spend time with them. Usually going to local parks like Griffith Park. As he sat on a bench, eating peanuts watching his children ride the rides, he thought there should be an entertainment enterprise where children AND parents could go to have a good time together. Well Walt, you were right, you were sooooooooo right, and humanity cannot thank you enough for this entertainment enterprise you created where parents, grandparents, children, friends, and in fact, complete strangers can put the rat race behind them and step into a world where we can just let ourselves be with our loved ones, and relax, together. If I may was philosophical for a moment, the parks are a refuge for me. A place where I go and I am transported back to a time in my mind where life’s responsibilities can wait. No other form of entertainment does that for me. The park design has so much to do with this. The control of all our sense of sight, sound and smell. The design and the thought that goes into making ones time not just a visit, but an emotional experience. When I am on my way home from a visit, I am already wondering when I can get back. It is a not just a temporary escape, but a refuge where life is expressed in smiles. I have been to the parks well over 100 times, probably closer to 200. I have spent much of my free time reading about park history and design. To call me hooked would to be faint praise. Disneyphiles all over the world will understand as I expect those of you at D-COT probably do. D-COT and its community helps me stay connected to that which I love. Nowhere on the web have I found a community that holds to Walt’s vision of what Disney is then here. And I have been to many. Thank you soooo much Steve and Chelle for all you have done and given us here at D-COT and for giving me the opportunity to contribute. I hate seeing the typos after I submit. What a terrific article! I love the tidbit about the top of the castle being put on backwards! GENIUS! Thank you for teaching us all so much with your awesome article! Wonderful series! Thank you so much! I love finding out little tidbits I didn’t know and new resources but this lifelong joy of all things Disney!!! 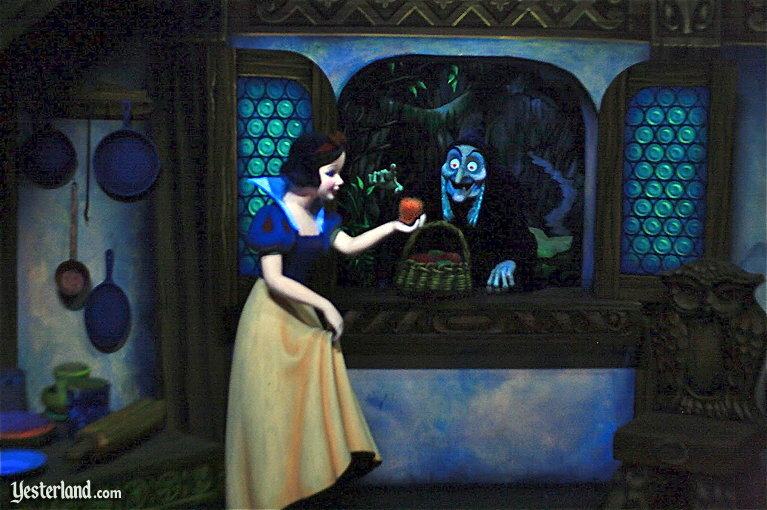 Let’s not re-open the Maelstrom debate, the wounds are still fresh and it was not a gut reaction I can’t believe people would get out of the ride vehicle to steal apples! “Humanity cannot thank you enough for this entertainment enterprise you created” so true! My dad did just what Walt did. Walt Disney World was our place, for our time together, no distractions. That’s why it means so much to me. Like you said, Disney is a refuge and escape for many of us and it’s all to do with the atmosphere and design. I get a break from the “real world” but I also get to re-live fond memories from my childhood. So glad when I’m not “home” I have D-Cot! It’s mind blowing to think how the entire world has been affected by one man, Walt Disney. People in other countries who have never been to a Disney theme park can recognize Mickey Mouse.